Settlement Agreements are those found in a legally binding contract between the employer and employee which waives the employee’s rights to make a claim covered by an agreement to the Tribunal or Courts. There is usually a settlement payment involved in the Agreement. Ultimately, this is usually done towards the end of the employment contract on good terms. The agreement must state that the applicable statutory conditions have been met. All details such as payments and date of employment termination need to be included in the Settlement Agreements. These Agreements should be drafted with precision to secure a mutually beneficial relationship between the employee and employer. If you are looking to make a Settlement Agreement, it important to seek legal advice from a Settlement Agreements Solicitor as early as possible. 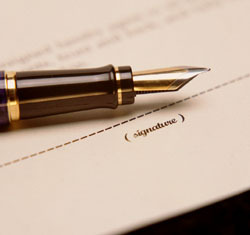 At Bloomsbury Law, we have years of experience and are happy to advise you accordingly.